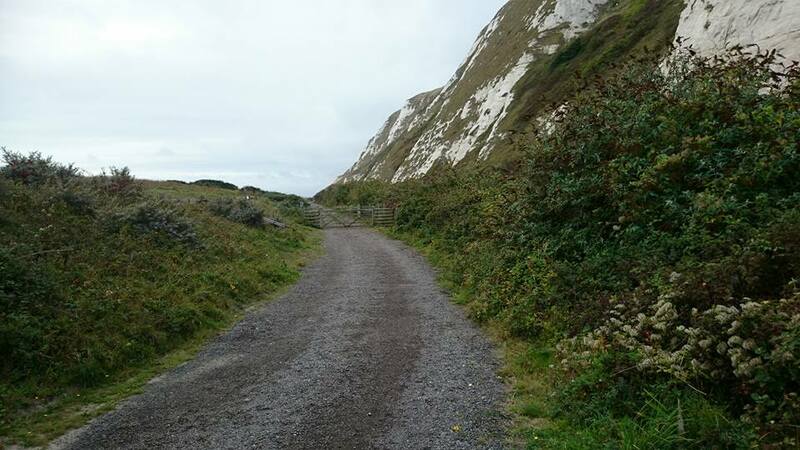 This was an SVN event held in Samphire Hoe but on a new route. 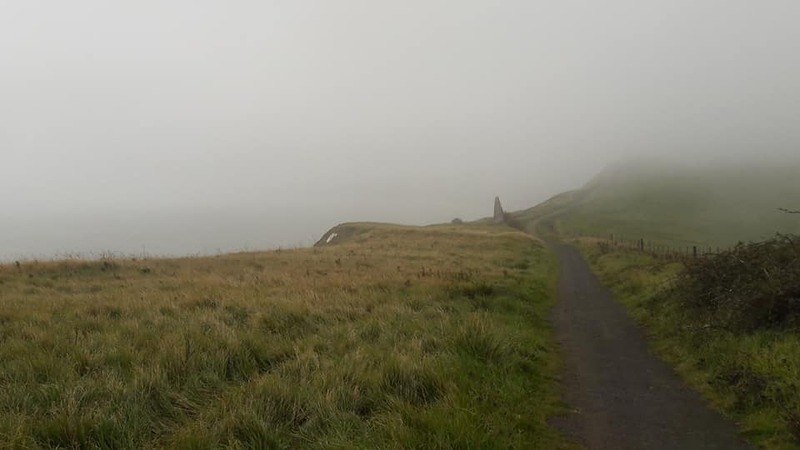 The weather forecast was awful and it required a route change as the original route was a little too close to the cliff edge to be safe. 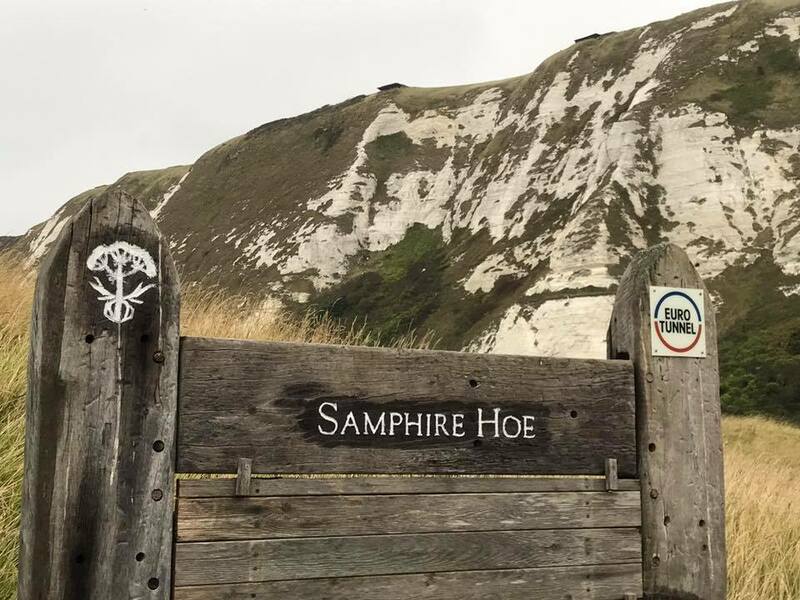 A very early start got me the 2hr drive to Samphire Hoe by 8am in plenty of time. 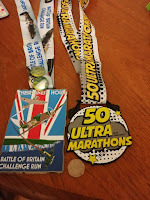 The usual registration process where I picked up my "50 Mega Marathon Ultra" medal and I was all set. At 8:20 Traviss had his usual race briefing which introduced us to the course. It was due to be a monster and with weather a double monster. As it turned out my Garmin had it at 3800ft of climb and I felt every foot of it. We started off at the normal spot and had the small uphill to contend with before a slight downhill to the first wooden bridge. 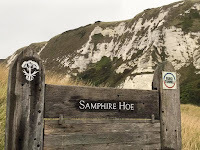 Then a steady short climb to the highest point in the Samphire Hoe reserve before sweeping down to sea level past a couple of lakes and a second bridge. Now back on the usual course we headed along the train tracks and up the "insult" of a hill back to the car park. 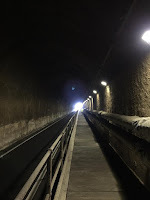 We then left the Samphire Hoe park by climbing up the full length of the access tunnel. Turning left we went onto cycle path 2 and continued to climb for another 2 miles. It did flatten out at places but generally was uphill. 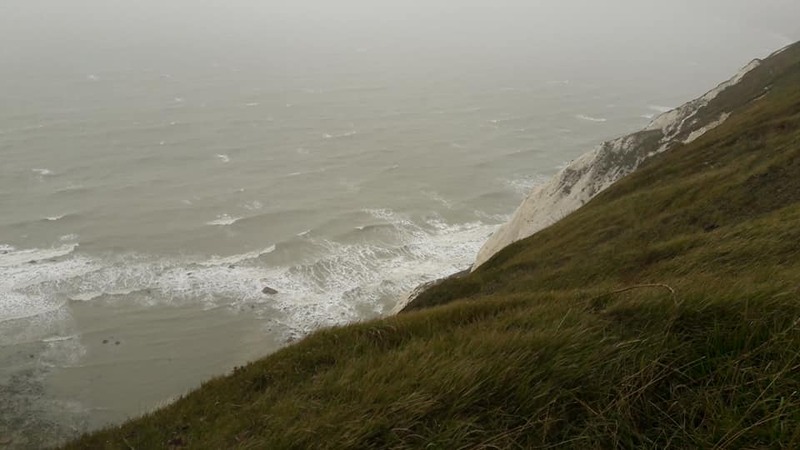 Eventually we hit a kissing gate and got close to the cliff edge as we undulated to the turn point. It was then retracing our steps back to the start finish line on a 2 mile downhill. It truly was a monster lap and my first lap at 6.55 miles took 1hr 25. It was tough tough tough. 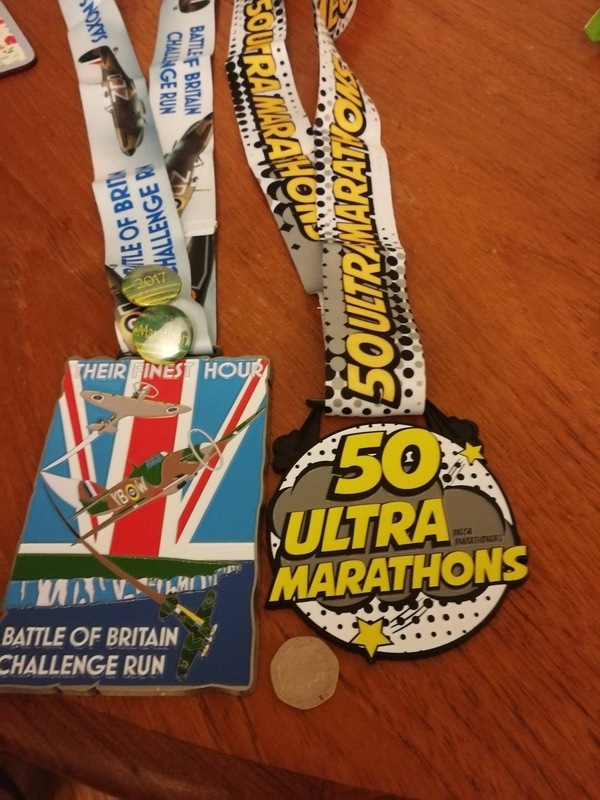 I decided early that an Ultra wasnt on and as I was planning to run the next day I would take it relatively handy. Lap 2 was in another 1hr 25 bringing me through half way in 2hrs 50. I felt a lot of people stopped short today but as the results showed not so many and there were actually quite a few were spurred on to do Ultra which was pretty impressive as initially the cut off for being out on your last lap was 5hrs. This was relaxed later in the day to 5hrs 30 and quite a few took advantage. 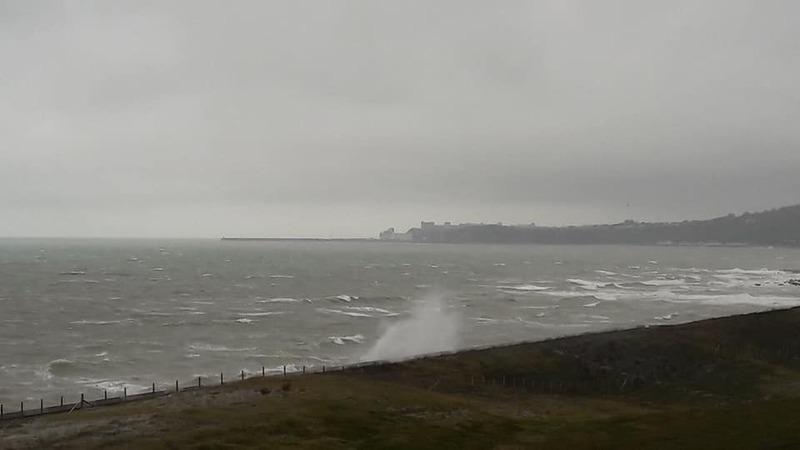 The weather was truely awful with wind straight in the face for lots and very gusty. For times a low sea mist descended which blocked any views and soaked everyone. On each lap we were glad to reach the turn around point to get rest-bite from the relentless up hill and the wind. Lap 3 was approx 1hr 30 as was Lap 4 which brought me in just under 6 hrs for a very hard fought marathon and I could have done Ultra if I had of known the cut-off was 5hrs 30 earlier but we live and learn. A very nice medal as always and the awesome goodie bag had me in great form for the 2hr drive back to the house.